Want to know what I think is so awesome thing about coastal inspired rooms? 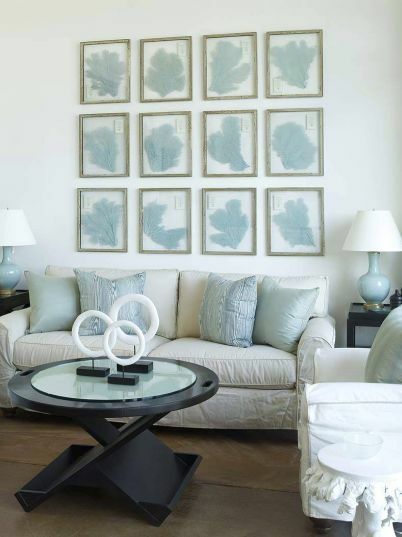 I love that you can interpret coastal-inspired style decorating any way you want to. No two coastal-inspired rooms need to look the same! You can stick with the watery soft blues that have been popular for quite a while now. Or you can go bolder, brighter, vintage, modern, natural, or stick with tried and true red & white & blue…how you interpret coastal style is up to you. Last I checked there are quite a few coasts in this world, and they are all different! 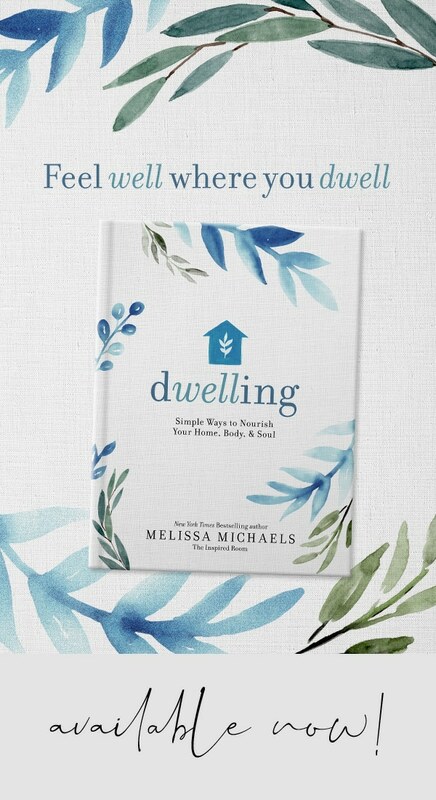 So go ahead and dream up your favorite home by the sea style! 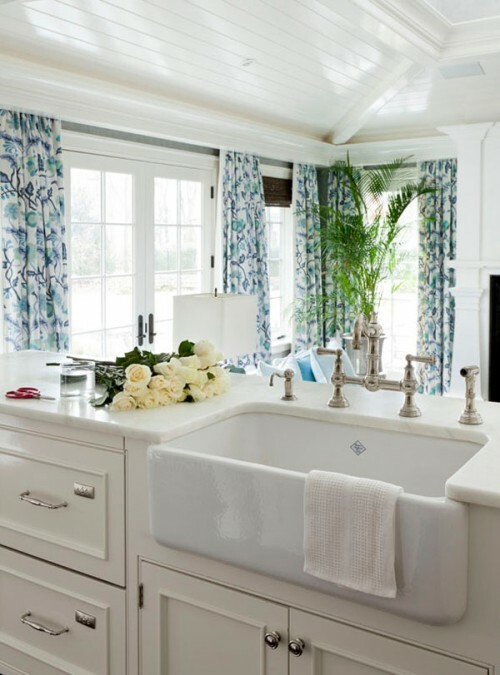 You can add a palm tree to a beautiful white and blue kitchen for a nod to island living. 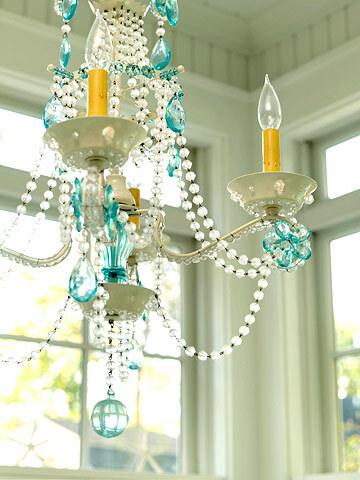 Interpret coastal style through subtle hints of glass and sea blue beads in a funky chandelier. Or frame elements from the sea right on the wall for all to see. 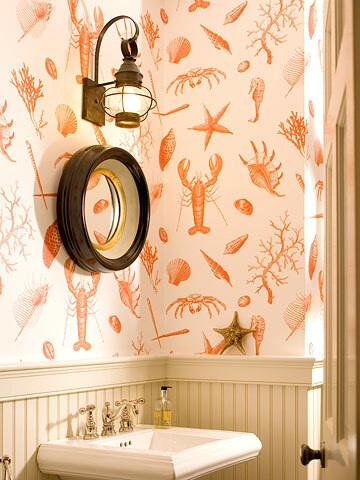 You can rebel against being safe and wallpaper your room with playful paper of ocean creatures! 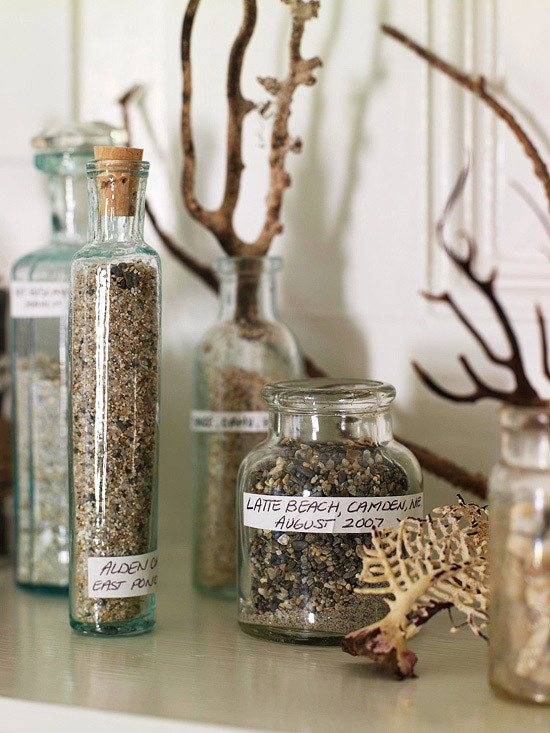 Or bring the sea home with you sealed in glass jars. 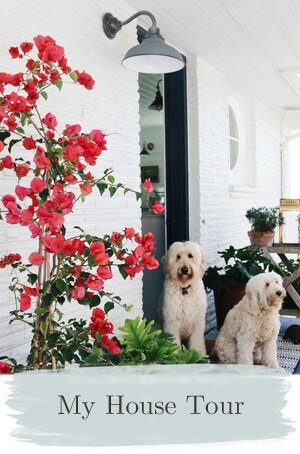 Create a cozy little vintage cottage by the sea. Go nautical all the way with a classic patriotic color scheme and boats. 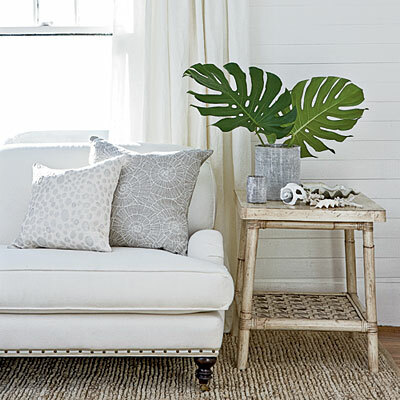 Or fill your home with tasteful textures, whites and grays for the perfectly modern yet traditional seaside escape. No matter how you interpret style at the sea, we can all share the dream of cool breezes blowing off the water and the warm sand under our toes. And that feeling is the best part of coastal living, don’t you think? What is your idea of a dream home by the sea? So many pretty ideas! I’m still loving the soft blues and creams together. Living near the ocean they just seem to resinate with my lifestyle. And the idea of keeping a little sand from different beaches is lovely! I just may have to do that! 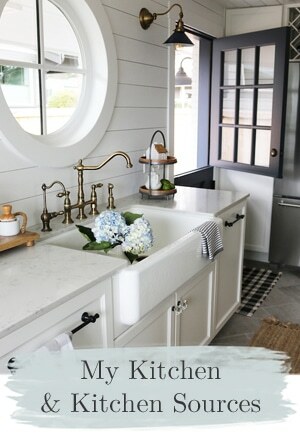 How I love white porcelain sinks. Still my favorite. Me too Sharon, white porcelain sinks are my favorite too! Just being BY the sea would be my dream! 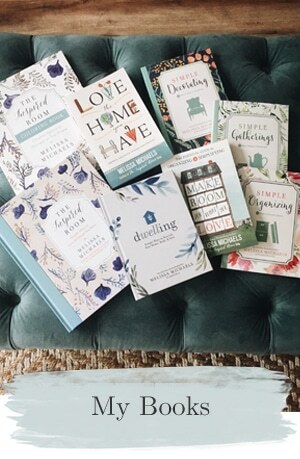 Love all of these…beautiful. I did a total nautical house with model ships and everything (only not by the sea!) 16 years ago, so my new coastal home (ha ha) would not be that. It would be hard to choose. The Outer Banks look with wood and rustic accents appeals to me (classic Nags Head), but I would probably go with the “vintage Florida” style like Mary Kay Andrews’ house at Tybee Island (the green BHG one above) just because it is so darn fun! Love this. Coastal living as you’ve depicted is just one of my favorite looks. It just begs for relaxation and a sense of Zen. If only I had a coastal home by the sea where I could hear the ocean – that would be AMAZING. We continue our hunt for a little cottage, walking distance to the sea. Small, light, airy, lots of windows, privacy, still, peace-filled. I’m going minimalist when I get there. 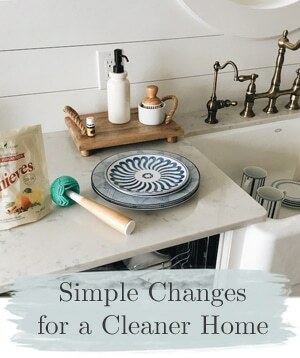 Because I don’t want the beauty of that place and my desire to be outdoors to be marred by endless cleaning, sorting, accumulating, fixing. 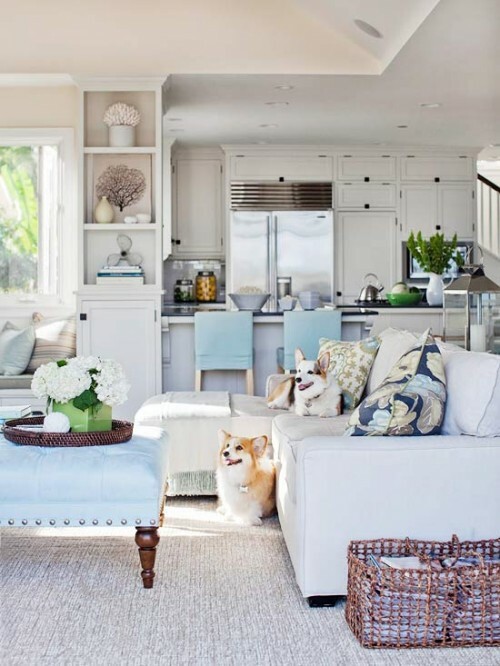 This is the perfect post since I am thinking of making a coastal themed living room! Thanks for all the inspiration ! Oh how I love this look, but my home is SO far away from achieving it. Thanks for the mini-vacation from the 100+ degree days. Our home is mostly soft blues and greens with white. I think I love coastal because it is so restful and cooling and gives at least the illusion of a relaxing lifestyle! I do live in my dream home by the sea! “The Necessary Room” shows how we choose to decorate our 1880 Victorian farmhouse on the shore. I’ve always loved to live by water too! I’ve never lived in the mountains but I can see how that would be wonderful too :-) Nature is just beautiful! We share the same dream! When it comes time to downsize and the kids are gone we plan to find a place near the CA coast…and I will incorporate every element you feature in this post! I love all the colors and textures of this beautiful style. These are so pretty. It makes me want to get, leave my office and head to the beach, barefoot! These are such beautiful inspirations. I’d love to live by the ocean one day…it’ll be amazing to wake up to the breeze and smell of ocean! 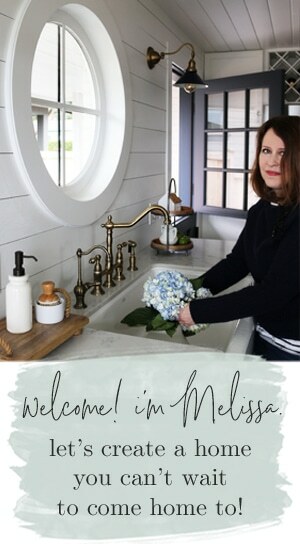 Really great blog Melissa, it’s amazing how many different ways we can incorporate nautical style in our homes. 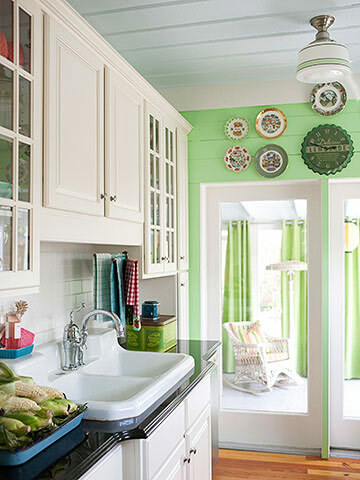 I am currently planning on redoing all the rooms in my house litle by little with coastal style in mind. The colors in my house currently are dark greens, dark maroons, mustards. Living in the NW, as I am sure you know, the dark colors can feel a little drab, so I want to now lighten up my house. The top BHG picture has been a favorite inspirational picture for me for quite some time now. Thanks for sharing! I grew up on Long Island, NY. Our house was across the street from the canal where all the clam boats lined up. They would go out very early and return with their clams to sell to the seafood restaurants. I loved the water! Now I live in Phoenix, AZ which is landlocked except for lakes. But I still love the water and love to vacation where there is a beach. Living by the sea would be a dream come true. I love that colorful chandelier! You’re right, there are so many ways to design coastal style rooms, I always love it when they bring in the surrounding nature into the house, with stones and wood from the beach..